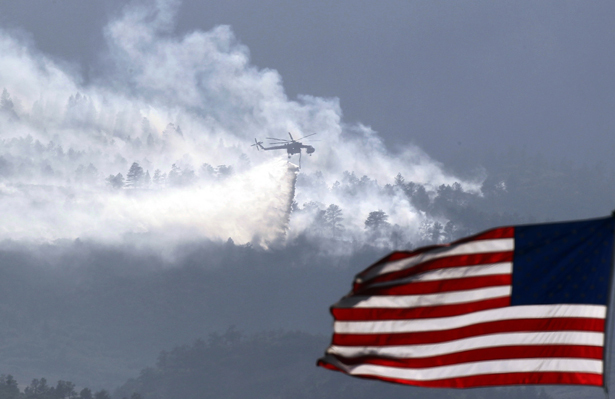 This is not a “perfect storm” but the new normal in the American west. This article originally appeared at TomDispatch.com. To stay on top of important articles like these, sign up to receive the latest updates from TomDispatch.com. To listen to Timothy MacBain’s latest Tomcast audio interview in which deBuys discusses where heat, fire, and climate change are taking us, click here or download it to your iPod here. In 2007, the Intergovernmental Panel on Climate Change forecast a temperature increase of 4ºC for the Southwest over the present century. Given a faster than expected build-up of greenhouse gases (and no effective mitigation), that number looks optimistic today. Estimates vary, but let’s say our progress into the sweltering future is an increase of slightly less than 1ºC so far. That means we still have an awful long way to go. If the fires we’re seeing now are a taste of what the century will bring, imagine what the heat stress of a 4ºC increase will produce. And these numbers reflect mean temperatures. The ones to worry about are theextremes, the record highs of future heat waves. In the amped-up climate of the future, it is fair to think that the extremes will increase faster than the means. June temperatures produced 2,284 new daily highs nationwide and tied 998 existing records. In most places, the shoe-melting heat translated into drought, and the Department of Agriculture set a record of its own recently by declaring1,297 dried-out counties in 29 states to be “natural disaster areas.” June also closed out the warmest first half of a year and the warmest 12-month period since U.S. record keeping began in 1895. At present, 56% of the continental U.S. is experiencing drought, a figure briefly exceeded only in the 1950s.